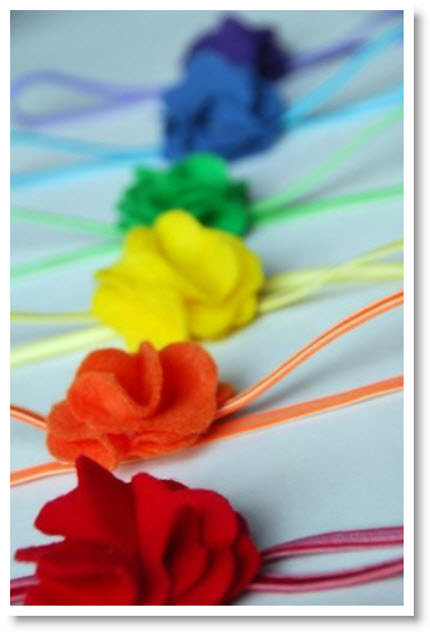 These “Rainbow Felt Headband’s” would be adorable for St Patrick’s Day on any age girl. Jodi Durr of “Meaningful Mama” is a wife and mother of three. She created these headbands for her daughter’s birthday and she wanted each gift bags to contain a headband for each girl representing each color of the rainbow. Jodi sure hit the mark with these beauties. She has a complete tutorial for us and thanks Jodi for sharing your project.